Some records you rarely see while crate-digging. Tonight on The Midnight Tracker, we have one. I don’t recall ever having seen a Chi Coltrane record before my friend Jim’s recent back yard tent sale. That day, I saw two. If you remember Chi Coltrane at all, it may be because of “Thunder And Lightning,” her hit single from the spring and summer of 1972. For no apparent reason, I passed on those two records that day. Then I had second thoughts, mostly because you never see Chi Coltrane records in our corner of Wisconsin. So I went back the next day — an hour’s round trip — and picked them up. Chi Coltrane is one of Wisconsin’s own, born in Racine. The daughter of a violinist, she started early, playing a piano recital at age 12. She was just 21 when she started playing professionally. A powerhouse pianist and a spirited singer, Coltrane started as part of Chicago Coltrane, a trio that played a mix of rock, funk, blues, gospel and jazz. She honed her craft in the clubs of Chicago. Coltrane was signed by Columbia Records in 1972 after it heard her six-song demo. Later that year, Columbia released the record we have for you tonight. She wrote all 11 songs on the record. “Thunder And Lightning,” “Goodbye John,” “You Were My Friend,” “Turn Me Around,” “Go Like Elijah” and “The Tree,” from “Chi Coltrane,” 1972. This is Side 1. It runs 22:42. The LP is out of print as such, but all of its songs are available on “Golden Classics,” a 1996 CD release. “Thunder and Lightning” reached No. 17 on the U.S. charts. Another cut, the gospel-tinged “Go Like Elijah,” did well in Europe. The LP stayed in the U.S. charts for three months. So what happened? Coltrane wasn’t into promoting herself or her records. Her deeply spiritual nature didn’t quite fit the music business. She recorded sporadically for the rest of the ’70s, then moved to Europe, where she had a more passionate following. She returned to the States in the early ’90s, working behind the scenes in the music business. Coltrane resumed performing two years ago, mostly in Europe, where she remains popular. Here’s a hint of Chi Coltrane’s appeal. 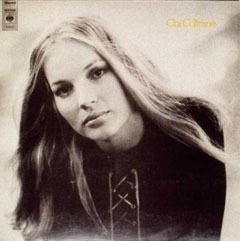 She does “I Will Not Dance,” a song from Side 2 of this record, on a German TV show in 1973. A couple of years ago, we offered something for the season as October rolled around. Tonight on The Midnight Tracker, we have something else for the season as we again revive an old late-night FM radio show on which one side of a new or classic album was played. This is the debut album from the Alan Parsons Project. Recorded over seven months in late 1975 and early 1976, and released in the late spring of 1976, it sets to music the classic stories of Edgar Allan Poe. It has long been one of my favorites. 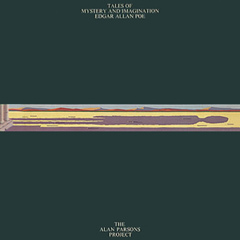 “The Fall Of The House Of Usher” and “To One In Paradise,” the Alan Parsons Project, from “Tales of Mystery and Imagination,” 1976. This is Side 2. It runs 19:07. It’s only two songs long because the first cut is a five-movement instrumental epic that runs almost 15 minutes. You might want to call this a bit of click or treat, if you catch my drift.